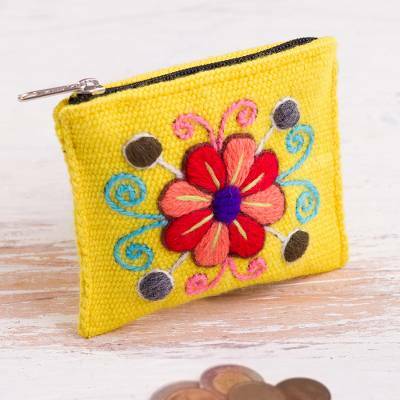 Embroidered Floral Maize Alpaca Blend Coin Purse from Peru, "Maize Flower"
Featuring a colorful flower embroidered against a body of maize, this striking coin purse makes the perfect companion for keeping your valuables secure. Balvina Huaytalla designs this coin purse, crafted of a Peruvian alpaca blend. 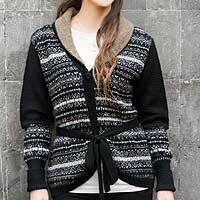 A zipper opens to a lined interior.